A few weeks ago we received an email from Botanica asking if we would like to receive some products to review. Not thinking twice we said absolutely yes! Botanica is a well known brand in the equestrian industry. We dare anyone to walk into a yard and not find at least one Botanica product lying around somewhere. We were delighted to be given the opportunity to try out some of their products that we hadn’t tried before. Please be aware that while we did receive these products complimentary, our review of them will remain completely objective and unbiased. Botanica is a natural herbal range developed to treat skin conditions in both animals and humans. Their products promote healthy cell growth to provide complete healing with minimal scarring. Botanica Cleansing Wash is a natural antiseptic wash designed to clean, sterilise and soothe the skin. It is made to cleanse the affected area and to help remove any dirt or scabbing which may have formed, this keeps the affected area open to allow any infections that may be present to drain out… thats what the website says, but read below to find out how Dante tackled the wash! Dante can be quite the Sensitive Sally especially when it comes to skin problems, from random breakouts to allergic reactions you name it, Dante gets it. Recently Dante had a slight lumpy break out on his neck, these lumps randomly appear twice / three times a year. Previously I used to get the vet out for a shot of penicillin, that & a vigorous body wash! Multiple examinations later by his vet & he couldn’t come up with an answer to the problem. Just steering clear of over scented products on his skin to keep any reactions to a minimum. So step in the Botanica Cleansing Wash, I couldn’t wait to give this a go, it couldn’t of arrived at a better time to be honest with his lumpy breakout! Using two cap fulls of cleansing wash I mixed this into a luke warm bucket of water, mixing it around, I simply sponged him down head to toe with the wash, instead of fully washing him down with the hose, you leave the wash on to let it do it’s job, scraping away the excess water with a sweat scrapper. Not only does this clean his coat, it gets rid of any unwanted toxins on the skin, it also gives a fantastic shine to the coat. Well firstly it Smells Delicious, I found it very good, I was quite skeptical of leaving the wash on and not washing it off, but the next day he got a lot of compliments on his coat it had quite the shine! It is also safe to say his lumps have not returned, there are antiseptic qualities in the wash so maybe it did the trick, I am delighted with the outcome. This product is almost a better version of your equine staple “Hibby Scrub”. The wash is also very good to use before/After clipping your horse, I can understand why, his coat was so fluffy before his clip but felt so clean afterwards! I personally Would highly recommend it, a few cuts Dante picked up over our testing period, they were all cleansed & washed with the cleansing wash to keep the wounds clean (one was quite deep see image to the right) with you only needing at most 2-3 cupfuls of solution, your investment in the product will be worthwhile. It is a massive thumbs up from us!! The Botanica Cleansing Wash can be used to treat a number of different equine problems including; sweet itch & eczema, mud rash & cracked heels, cuts & wounds, rain scald, capped hocks, fistulous withers, mites & ticks, or even to simply wash your horse down after a workout. It is recommended to use the Cleansing Wash in conjunction with the Herbal Cream. The Natural Herbal Cream is the perfect complement to the Cleansing Wash. Applied directly to the affected area, it absorbs into the skin allowing the soothing and healing properties of the natural oils to get to work on healing the affected area. We personally consider this the Holy Grail of antiseptic creams. It also smells good too which helps a lot! Since receiving the Herbal Cream, we both ended up having cause to use it so it definitely got put to the test. Just days after we received the products from Botanica, Coco got herself into a bit of trouble and ended up giving herself some nasty flesh wounds on her legs, just above her fetlocks. While this was mildly irritating it also meant that I had the perfect guinea pig to test the Botanica Natural Herbal Cream on. I applied the cream once a day for a week. Within a few days the cuts had scabbed over and were on the mend. I used the cream along with the cleansing wash which did a good job of ensuring the cuts stayed clean and gave them a good chance to heal. One thing that I really liked about the cream is that it seemed to help dry the cuts out. I find with some creams they tend to keep wounds too moist and the cuts end up taking longer to heal. But that was definitely not the case with this stuff. This product is a must have for any first aid kit. Whether its a small cut from travelling or a more serious wound that needs longer term treatment, you can’t go wrong with Botanica’s Natural Herbal Cream. We’ll definitely be replacing our current 300ml tub with a 500ml tub once we run out. This cream can literally be used for anything, obviously not to be put in your horses eyes, nose or mouth! It has a number of human uses also, it can be used as a hand cream and can also be used on hives or if you burn yourself for relief. We’re incredibly grateful to Botanica for giving us the opportunity to review some of their amazing products. Some of which we already had some experience with, the others are now absolute must haves going forward. If you’re interested in trying some of the Botanica products for yourself, you can order directly from their online shop at Botanica.ie. Alternatively, most equestrian shops tend to stock their products also so check with your local store to see what they have. Have you tried any of these Botanica products before? 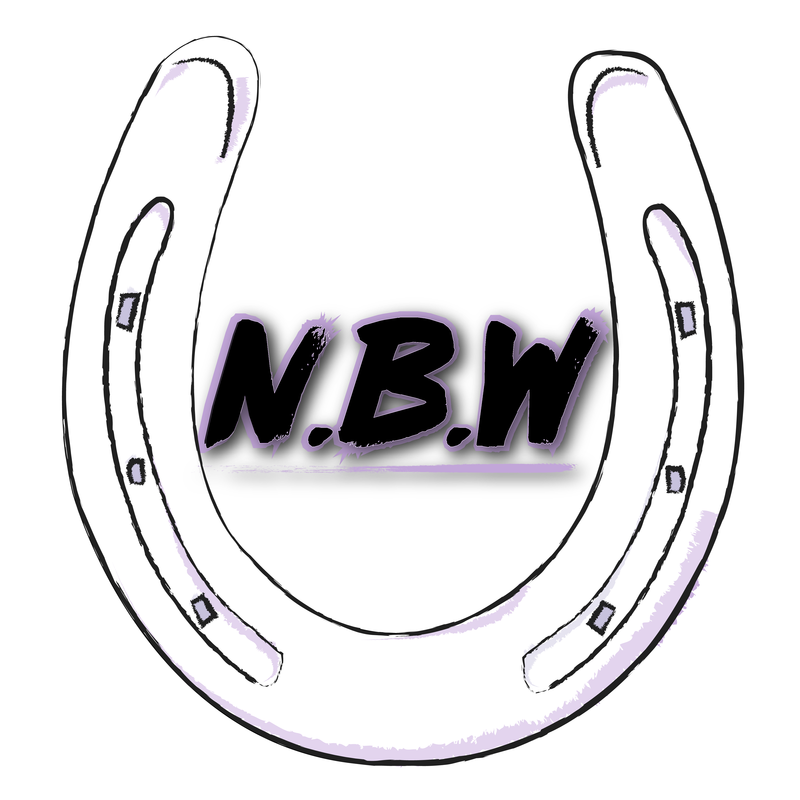 We would love to hear your feedback on how they worked for you and your horse.